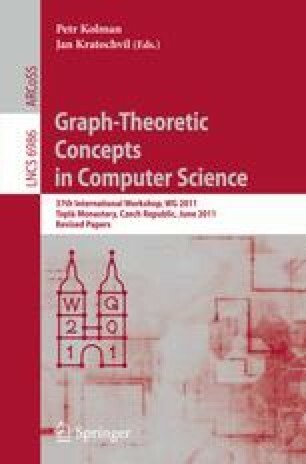 The problem Cover(H) asks whether an input graph G covers a fixed graph H (i.e., whether there exists a homomorphism G → H which locally preserves the structure of the graphs). Complexity of this problem has been intensively studied. In this paper, we consider the problem PlanarCover(H) which restricts the input graph G to be planar. PlanarCover(H) is polynomially solvable if Cover(H) belongs to P, and it is even trivially solvable if H has no planar cover. Thus the interesting cases are when H admits a planar cover, but Cover(H) is NP-complete. This also relates the problem to the long-standing Negami Conjecture which aims to describe all graphs having a planar cover. Kratochvíl asked whether there are non-trivial graphs for which Cover(H) is NP-complete but Planarcover(H) belongs to P.
We examine the first nontrivial cases of graphs H for which Cover(H) is NP-complete and which admit a planar cover. We prove NP-completeness of Planarcover(H) in these cases. The initial research was supported by DIMACS/DIMATIA REU program (grant number 0648985). The third and the fourth author were supported by Charles University as GAUK 95710. The fourth author is also affiliated with Institute for Theoretical Computer Science (supported by project 1M0545 of The Ministry of Education of the Czech Republic).